Hello everyone, and thanks again for visiting Solowoodrecycling.co.uk, home of the SoloWood recycling project and the only place to read our in-depth project blogs. 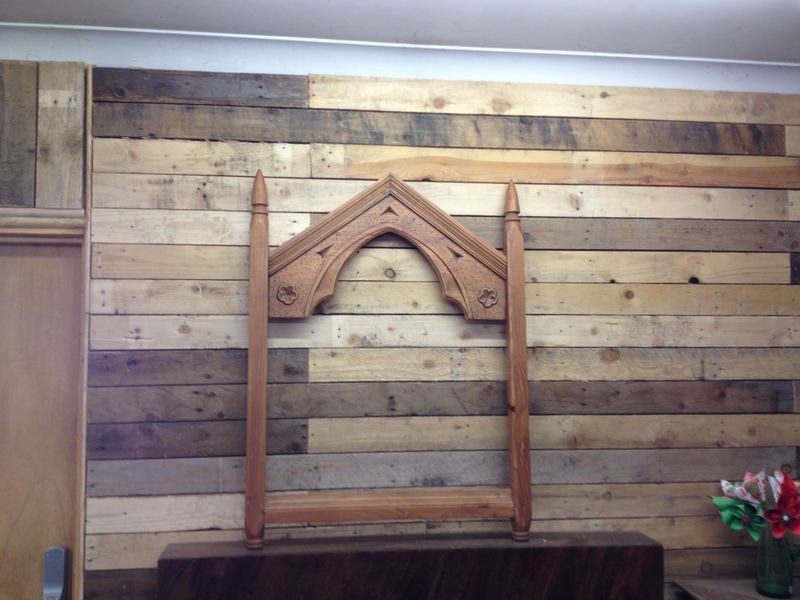 We have years of upcycling, recycling and woodworking experience, however blogs are a little newer to us so there aren’t many to browse through as of yet. Our hope is that as our wood reclamation and upcycling social enterprise develops, so too will our portfolio, our blog and hopefully your knowledge and interest in wood recycling will grow as well. Our projects and commissions vary in size and difficulty and we already showcase some of our work online via social media. We are on Instagram (@solowood.recycling) and Facebook (@solowoodrecycling) so watch out on social media for our latest activity, but this blog will be the place where we go into the greatest detail about selected pieces of work. By running our blog in conjunction with our ongoing development as a social enterprise we hope it will offer useful insights into all things relating to recycled wood, but also become a source of recycling inspiration for our customers and social media followers alike. 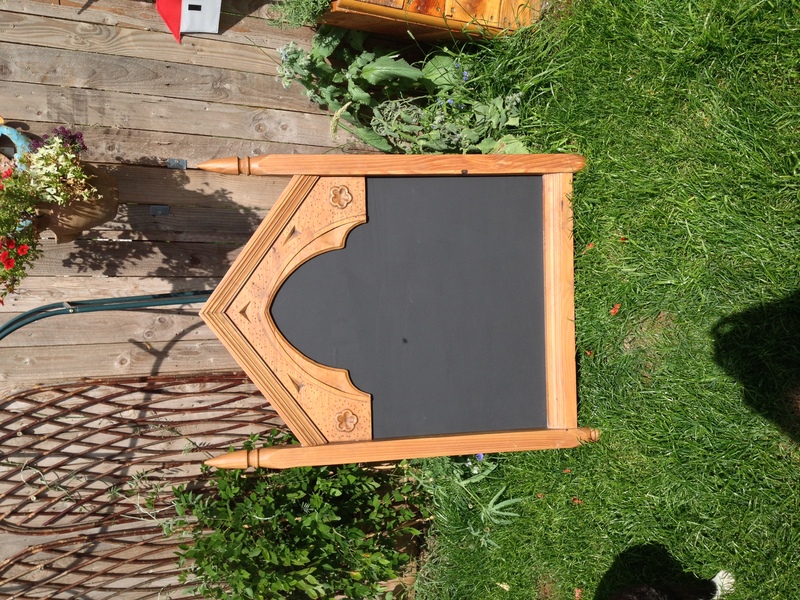 This particular blog is about us upcycling an old and broken mirror or picture frame into a very interesting chalk board creation, perfect for a kitchen or restaurant. 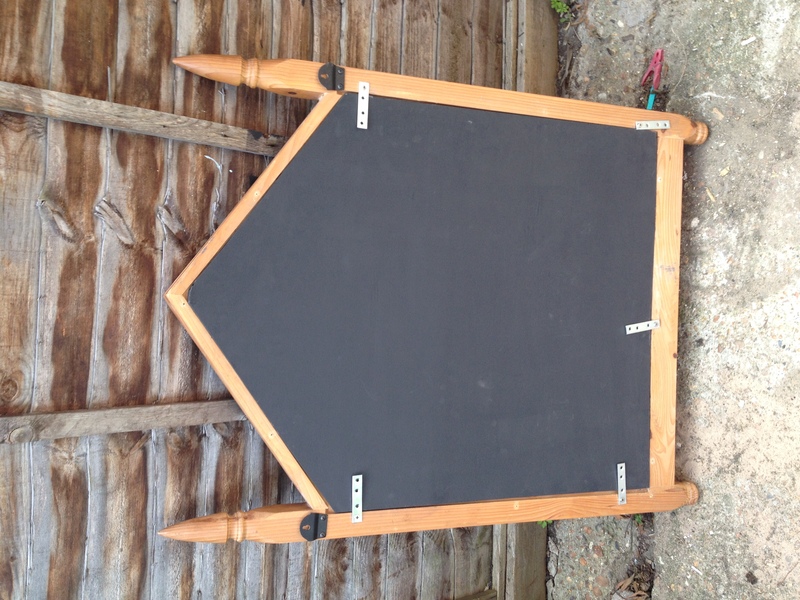 The first stage of this project was to measure and cut a piece of ply board that would become the chalk board itself. 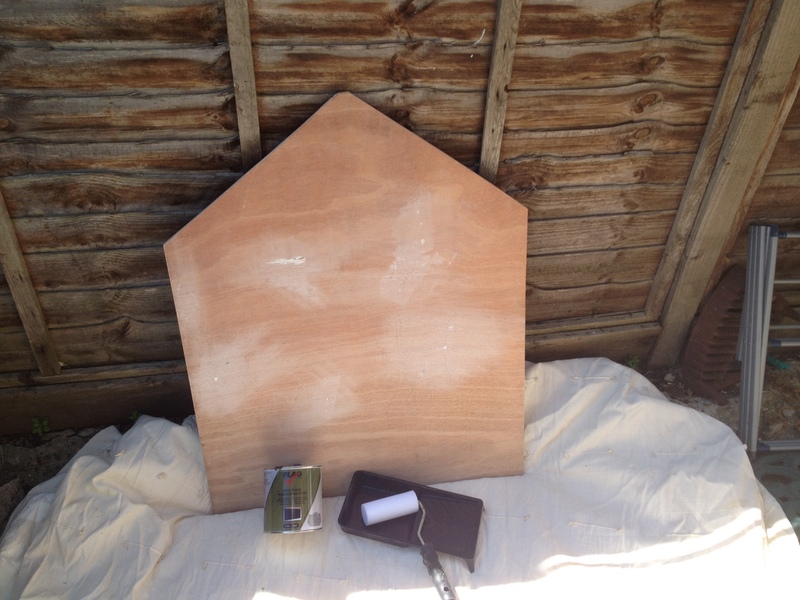 Once the ply board had been cut to size it was necessary to fill in some small holes in the material using some filler. once the filler had been allowed to dry and been sanded back to a smooth surface we needed to apply the first of 3 good coats of black board paint, this will enable the surface to be used and wiped clean without affecting the chalk board paint. 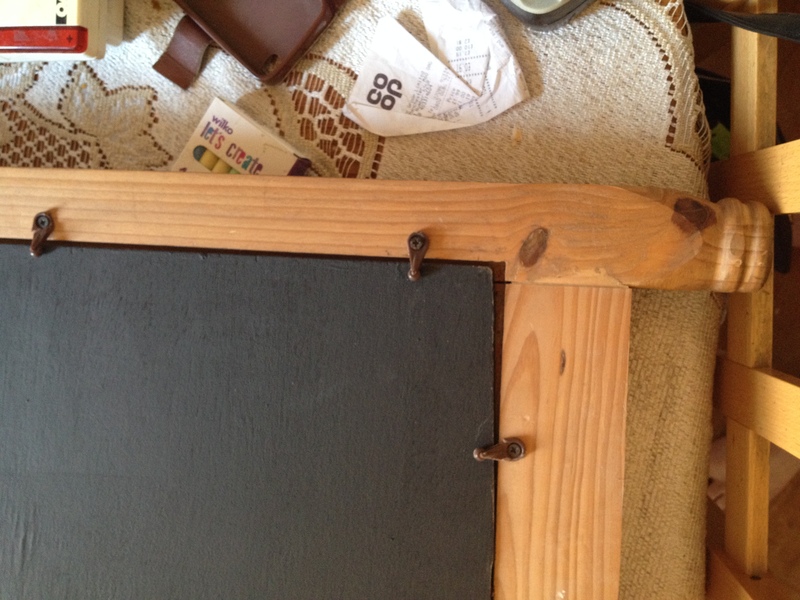 Once the final coat of paint had dried it was necessary to upgrade the backing pins (not sure what they are actually called?) that had held the previous mirror or picture in place. This was partly because the existing ones had begun to show their age but also because the chalk board would have people regularly writing on it and applying pressure, meaning something all together more heavy duty would be better suited. I opted to re purpose some small metal plates i had lying around as they would be perfect for the job as they are rotatable (should someone want to turn the chalk board around) and metal is able to take more punishment than most, if not all, plastic fittings. 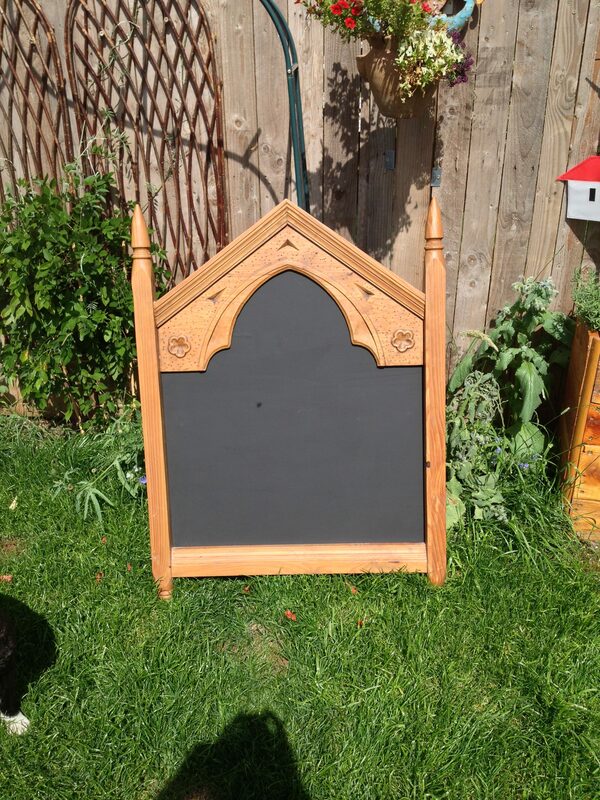 Now that the chalk board is held in place adequately enough to take the pressure of someone leaning on it and writing it is ready for use. 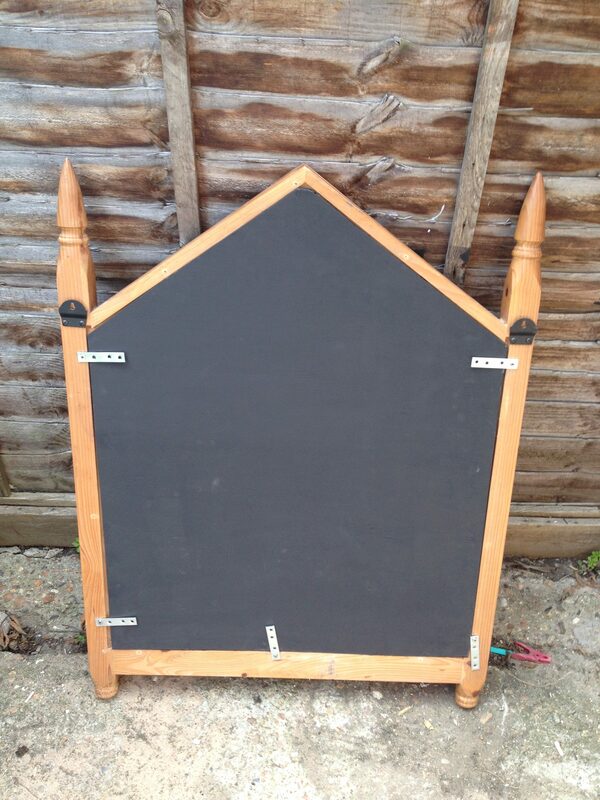 The chalk board also has some mounting plates on the back for easy hanging on any wall. The finished product is unique and would look great in most peoples homes or businesses. If you would like to know more about this project or to commission something similar please email info@solowoodrecycling.co.uk.